China’s top legislature has ratified the Paris global climate agreement, state news agency Xinhua reports. 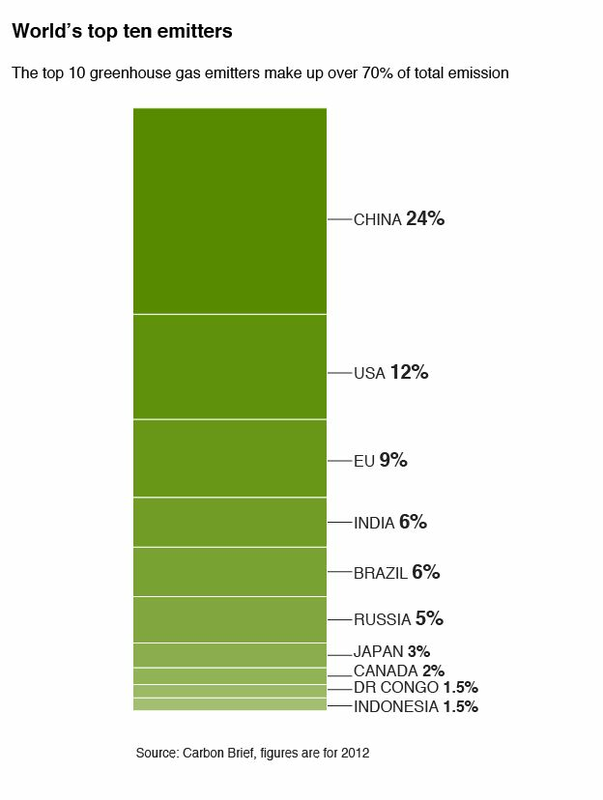 The country is the world’s largest emitter of harmful CO2 emissions, which cause climate change. China and the US are expected to jointly announce ratification at a bilateral summit later on Saturday. In a landmark deal struck in December, countries agreed to cut emissions enough to keep the global average rise in temperatures below 2C (36F). What does the climate deal mean for me? Members of China’s National People’s Congress Standing Committee adopted “the proposal to review and ratify the Paris Agreement” on Saturday morning at the end of a week-long session. The Paris deal is the world’s first comprehensive climate agreement. It will only come into force legally after it is ratified by at least 55 countries, which between them produce 55% of global carbon emissions. 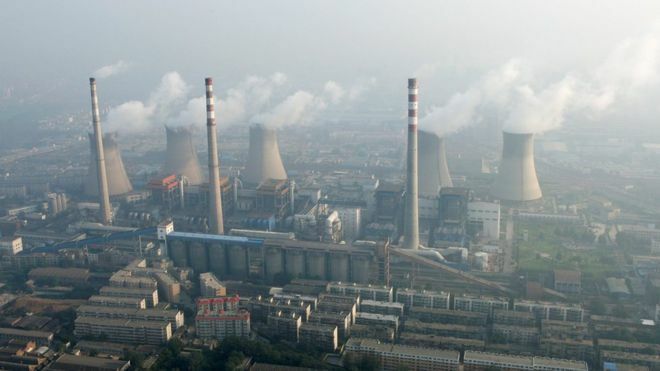 When the US – the world’s second-largest emitter – follows China’s lead, it will bump the tally up to 40%. Before China made this announcement, the 23 nations that had ratified the agreement accounted for just over 1% of emissions. Analysts warn that the target of keeping temperature rises below 2C is already in danger of being breached. For 14 consecutive months meteorologists have recorded the hottest month on record, and the UK’s Met Office has forecast that 2016 is likely to hit temperatures 1.1C above pre-industrial levels. Average temperatures worldwide are likely to increase more in the coming years as the effect of previous carbon emissions makes itself felt. The G20 summit in Hangzhou, starting on Sunday, is a meeting of leaders from 20 countries. It is expected to be Barack Obama’s last trip to Asia as the president of the US. Mr Obama is expected to announce on Saturday that the US is formally joining the Paris Agreement. It is thought that he and China’s President Xi Jinping will make a joint announcement at a bilateral meeting.